Looking for a warehouse space? Well here are few aspects to be taken care of while selecting a warehouse space for your business. Let’s consider Ranigunj Square and find its location beneficial for choosing it for your business. Strategically located on NH2, Mangalpur, Ranigunj just 1 km from Punjabi More which is at the junction of 3 highways having access to 4 Zillas; Bankura, Purulia, Birbhum and Purba Bardhaman. Jharkhand is near to this warehouse which helps it to cater the districts of Jharkhand; Dhanbad, Jamtara, Dumka, Deogarh and Sahebgunj. The site is located 6 kms from the Ranigunj railway station. This commercial logistics hub is located just 12 kms from Andal airport, which would be fully operational from Feb 2018. The site is just 2 hours travel from Kolkata via road. ECL hospital is just 1Km from the site. These locational advantages make Raniganj Square – The Highway Hub most appropriate choice for companies searching for Commercial Warehouse/Godown for Rent. This warehouse is located at an important junction catering three industrially rich places; Asansol, Durgapur and Ranigunj. 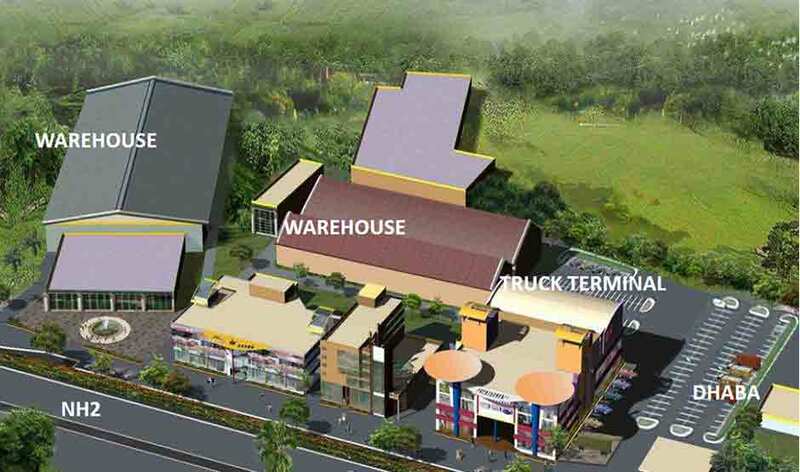 Ranigunj Square’s location is beneficial for this renowned industrial belt to book warehouse space for their business. This warehouse is also located 15km away from the river which prevents any kind of possibility of the area being flooded. Also the area is on a high altitude which prevents the area from being water logged due to heavy rainfall. Ranigunj Square is steeped in locational advantage which adds to its potentiality as a popular Warehouse Hub. Bengal Shristi Infrastructure Development Corporation Limited is an Infrastructure Development Company, promoted jointly by Asansol Durgapur Development Authority (ADDA) and Shristi Housing Development Pvt. Ltd., in line with the approved Government model for Public Private Partnership. Bengal Shristi was formed on February 12, 2001 in Durgapur.